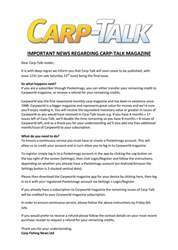 Carp-Talk 1190 is available to download now, featuring an extra eight pages for the same great price! 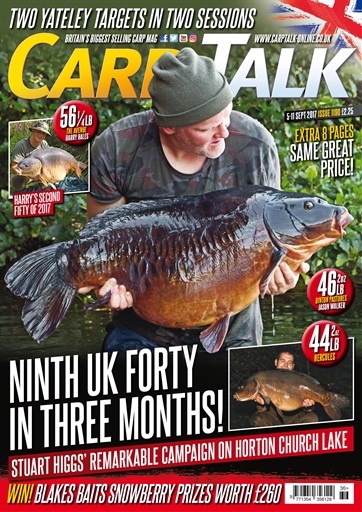 We review Stuart Higgs’ awesome year on the Horton Church Lake that has seen him land nine forties in three months! 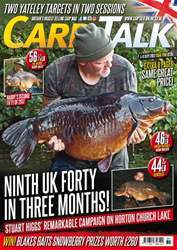 Also, look out for Fingers from Horton Church Lake for Darren Willeatts, Black Scar from the Avenue for Harry Hales, and two cracking forties for Martin Bell at Bluebell Kingfisher Lake. 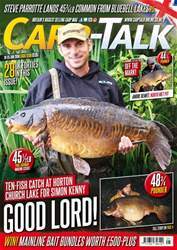 The CC Moore team shows us how to boost hookbaits for extra attraction, and successful Kingsmead 1 rod George Loughlin explains why he has so much faith in snowman presentations. 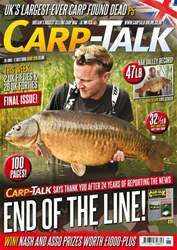 Nathan Bailey concludes his two-parter on Lodge Lakes, and Matt Rhodes tries to repay some of the debt he owes to angling. Ben Wales champions the hinged stiff rig, and products from Crafty Catcher, Wychwood, Kodex, Baitology, Bait-Tech, Monster Particles and ESP go under the spotlight. We’ve got £260 worth of Blakes Baits Snowberry goodies to give away, and the Nash monthly winners are announced.